One of the most awaited projects had its Mahurat in the presence of big wigs of Bollywood on 15th of May, 2017 followed by continuous shooting schedule. Film “Dhappa” is a golden venture envisioned by producer Siddharth Nagar. The Mahurat saw the presence of Producer Siddharth Nagar, Ayub Khan, Brijendra Kala , Kanwaljeet Singh, Deeraj Kumar, Suhasini Mule, Shruti Ulfat, Jaya Bhattacharya, Raju Shrestha ,Avinash Sahijawani, Mithlesh Chaturvedi, Roshni, Shrestha Kumar, Sunaina,Dr. 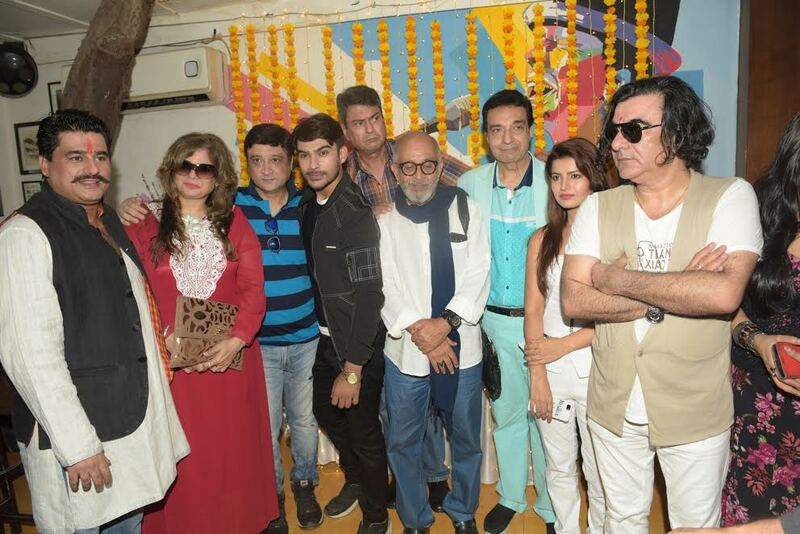 Achla Nagar, Sawan Kumar, Jugnu, Rajesh Puri, Amita Nagia and Deepak Qazir. Siddharth Nagar under Sarthak Chitram has produced films blockbuster films like Saab Ji , Shiksha… Ek mazboot aadharshila, Aaradhaya…pappa nu sapnu, Jamuna…naari ni sampoorna yatra…, Bahu Beti, Rangoli, Chitrahar & many more. The company has the credit of producing shows with the renowned actors like Rajesh Khanna, Mausmi Chatterji, Poonam Dhillon, Suhasini Muley, Kanwaljeet Singh, Ayesha Julka, Pooja Batra, Faraha, Ayub Khan, Brijendra Kala, Raju Kher, Kritika Desai, Sheeba, Shruti Ulfat, Jaya Bhattacharya, Mahesh Thakur, Mona Ambegaonkar, Amit Behl, Rakesh Pandey, Rita Bhaduri, Smita Jaykar, Anupam Bhattacharya, Amita Nangia, Mithilesh Chaturvedi, Dinesh Kaushik, Amrapali Gupta, Suwati Anand, Avinash Kumar, Sarika Dhillon, Shresth Kumar, Raju Shreshtha, Sumitra Kumari, Abhay Bhargav, Mukul Nag and many more. Sarthak Chitram is also in the business of Financing and funding other production houses of television serials and feature films, Sarthak Chitram is the owner of a well-equipped editing studio with multi camera set up and light equipments. Sarthak Chitram has number of eminent technicians associated with them for handling the various aspects of productions that are under way.